We sat at her kitchen table, a Brazilian woman named Ana and I -- she leading the way as I, a stubborn 16-yr-old, fumbled through my first few Portuguese lessons. I was determined to visit Brazil, and I wasn’t planning to go without first speaking the language. It had all started a few weeks earlier when I had gotten my hands on this book by Bill McKibben called Hope, Human and Wild: True Stories of Living Lightly on this Earth. An environmentalist author, McKibben had thoroughly depressed himself and his readers with his previous work: The End of Nature. To lift his spirits, he decided to seek out examples of human goodness in the world -- places where the people were making a positive difference across multiple scales -- social, environmental, economic. Farmers surrounding Curitiba were suffering from oversupply of their crops. Demand was so low they were throwing out produce and not making enough to survive. At the same time, people living in the favelas struggled to afford fresh vegetables and were not adequately nourished. In addition, the narrow walkways of the favelas were no place for modern trash collection vehicles, and the trash was left to rot, impossible for city staff to manage. Can you see the connection among all of these problems? Jaime and his team did. Using the money they would have used to attempt to collect the trash, they instead paid the farmers for their crops and then exchanged bags of fresh produce for bags of trash in the favelas. Three birds, one stone. Triple win -- so smart, right? They looked at what they had -- under foot, so to say -- and devised a brilliant solution with the elements already available. I was thrilled, and I wanted to see it first hand. After introducing ourselves, we settled into the plush seats of the bus leaving Curitiba one morning, excited to be on the road to Florianopolis. Honestly, I was also nervous, as this leg of my trip was the last and the least planned. I hadn’t booked a place to stay: for the first time in my life, I was heading somewhere without lodging in place. It turns out Clara was from Brazil, lived in London, spoke perfect English, and was eager to visit her family on the island capital of her home state of Santa Catarina. By the time our five hour ride was over, we considered ourselves friends, and she had taken me under her wing, insisting on introducing me to her nephew, whom she thought could recommend a hostel for me to stay in and perhaps even show me around. What unfolded was beyond what I could have imagined was possible. Tiago, Clara’s nephew, warmly welcomed me, a perfect stranger. He showed me around the town and then phoned his parents to ask if I could stay with them. 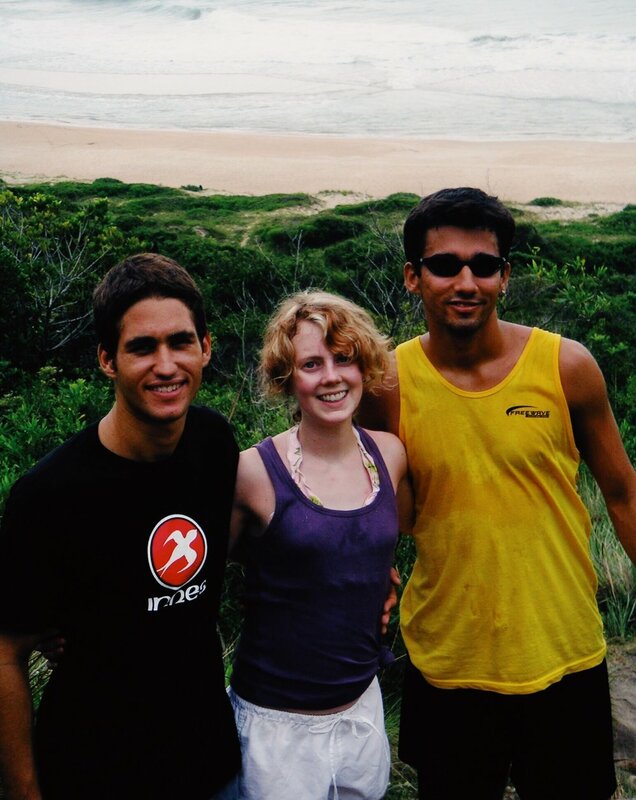 They were happy to have me, and I spent the next few days touring ‘round the island with Tiago and his friends. We even ventured to a private beach accessible only after a 5 mile hike, a gem I wouldn’t have visited on my own or even known to consider. On the return trek, we revived ourselves with fresh sugarcane juice pressed before our eyes with a machine that must have been 100 years old. The final morning before my flight back to Sao Paulo, I lounged by the shared pool at the apartment building complex of Tiago’s family. As I picked a fresh guava from the tree and bit into the pink goodness, I marveled at the magic of the journey. Everywhere I went, everything I needed was provided. And I didn’t have to stress or over plan. It seemed like something divine was orchestrating these moments for me. Perhaps the ‘true sources of my own power’ were not in my achievements or intellect but in my willingness to surrender myself into the network of human connection.